Infinite Designs & Build is a professional family owned full service design & build company. At IDB we pride ourselves on providing the highest quality craftsmanship and customer satisfaction. We specialize in Residential Design & Remodels, including kitchens bath & basement remodels. Our services include space design, drafting blueprints, 3D renderings, installing wood, tile, stone & vinyl flooring, interior & exterior painting, landscape design, installation, & maintenance. With years of experience in all related fields we have the capabilities to tackle any project, big or small. Let us help make your dream home a reality. Contact us today for a free consultation. 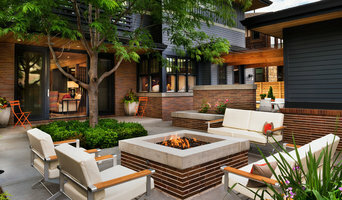 For over four decades, Diamond Homes and its talented design/build team has constructed many of Denver’s finest homes. Diamond Homes has earned its reputation as the premier builder of custom homes and renovations in Denver and Cherry Hills Village. Our reputation as a trusted builder comes from our meticulous attention to detail, unsurpassed customer care and fine craftsmanship. The inception of all projects starts with superior design led by our talented in-house architects. Our framers and finishing crews average 20+ years working exclusively with Diamond Homes. This steadfast relationship generates a professional jobsite that translates into the highest quality of work and detail. Our experience with high-end clientele is unequaled. An open relationship and honest communication with clients is paramount. 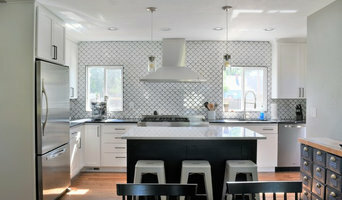 Diamond Homes truly knows how to meet and exceed clients’ expectations through all aspects of the design/build process. Diamond Homes specializes in new home construction, renovations, and commercial tenant-finish. Our work is in the details. We are here to help you. We are passionate about seeing things come to life, and want to exceed your expectations. We enjoy challenges, we relish problem-solving, and we see opportunities where others may see only problems. We want to build communities, to preserve what’s existing, and to build on it, in pursuit of a more beautiful, functional and cohesive world, inside and out. We are always looking for our next collaboration. We work outside, designing thoughtful, creative and beautiful spaces. We’ll even build you a pergola, water feature, or dream kitchen. We also work inside, transforming your existing space into a place you’ll want to call home for years to come. So, you want to know more? - get in touch. We'd love to learn more about your project. 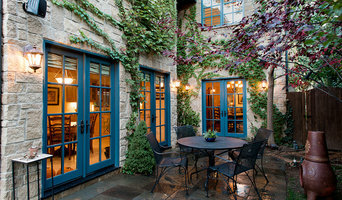 Aspen Leaf is a full service Design/Build Firm specializing in high quality, unique custom homes. We are the upper level of Finished Basement Company, an industry leader in basement finishing. For years we have completed upstairs projects for many of our clients and are now formally taking our talents to the next level. By combining amazing design with proven processes developed over 17 years and thousands of projects, we will provide you with the best possible design/build experience. We are made up of two divisions: Clarkson Street Builders and Clarkson Street Homes. Clarkson Street Builders is focused on commercial building and construction management. Clarkson Street Homes is for residential clients and is focused on "everything home." Our goal is to form strong relationships, build and design exquisite structures, and create a world more beautiful and inspiring for future generations. With an OSHA 30 safety certification and LEAD remodeling and renovation safety training through the EPA, Clarkson Street Builders is ready to tackle any project that comes our way. Parkwood Homes was founded in 1991 and soon became the principal builder in the nationally acclaimed community of Kentlands, Maryland. We are a small, privately owned company. Most of our employees have been with us for many years and are seasoned and experienced in homebuilding. We limit the number of homes we build each year and take great pride in the solid craftsmanship and quality our homes provide. Although Parkwood is a small firm, we have enjoyed very positive recognition for our innovative and high quality homes. We place great emphasis on excellent design. We are a 100% Energy Star builder. We believe in responsible, sustainable, High Performance homes. We also support the tenets of New Urbanism. Parkwood Homes is presently building in the Washington, DC area and Denver, Colorado. Sound Builders, Inc. is a design/build boutique serving residents of Denver and surrounding neighborhoods since 2004. We offer specialized contracting and design services that provide accurate budgets and impeccable craftsmanship for a variety of residential projects. Senior Architect at Colorado Master Builders & Architects & Architects, Inc. Founded in 1990, Colorado Master Builders & Architects, Inc., is a full service design/build firm primarily focused on the design and construction of custom residential and equestrian projects. 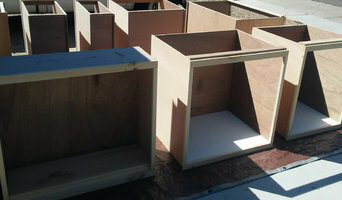 Our on-site fabrication and woodshop provides further customization for our clients’ unique projects. Lucid Studio is based on the principle of its title. Lucid literally means articulate, clear, logical, and well-structured. Its founders, having a combined 25 years of experience in the design/build profession, have pledged to create a company that is not only all inclusive in the scope of work required to usher a project from inception to conclusion, but to do so in a Lucid manner. Combining modern and distinctive design with professional project management and years of experience, Lucid Studio can be an integral element of any design/build project at all phases. Additionally, Lucid Studio is about designing and constructing responsible, efficient and clean structures. Modern, by our definition, means designing and building structures that are to be lived and worked in, to facilitate a relationship between user and structure that is healthy and dynamic. Specifically, this means making spaces that have functionality, because the best way to be "green" is by constructing things not only with responsibility in regards to the world we live in, but also by making them spaces worth living in and maintaining. Designers and fabricators custom furnishings in steel, concrete and wood.